Babies are a joy. They can also be a little overwhelming at times. When is a fever something to worry about? What's the difference between colic and normal crying? 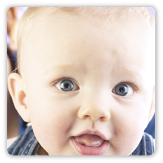 What immunizations does your toddler need? Our topics can help you find the answers to these and other common parenting questions. Croup: Managing a Croup Attack. Thumb-Sucking: Helping Your Child Stop. Quick Tips: Giving Over-the-Counter Medicines to Children. Interactive Tool: How Do Temperatures Compare?